The diplomatic deterioration between Canada and Saudi Arabia has thrust a controversial arms deal between the two countries back into the spotlight. Earlier this week, Saudi Arabia froze all new trade relations with Canada and recalled thousands of students and medical trainees. The move was direct retaliation to a Global Affairs tweet that called on the Middle Eastern kingdom to release imprisoned women’s rights activists. One expert has suggested that removing the students could cost the Canadian economy as much as $2 billion in annual investment. But that number pales in comparison to the arms deal between Canada and Saudi Arabia, signed by Stephen Harper in 2014 and later upheld by Prime Minister Justin Trudeau. The deal, valued at $14.8 billion, is the largest military export agreement in Canadian history. 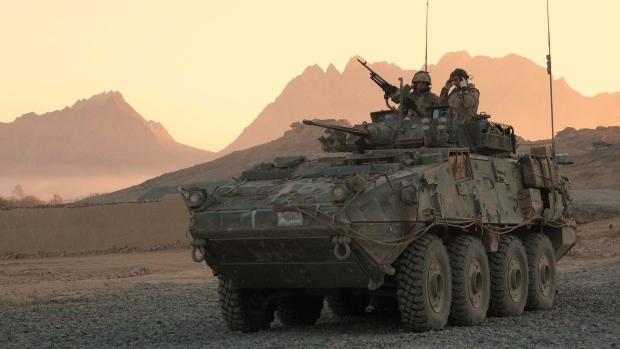 Approximately 3,000 jobs were created in Southwestern Ontario to help manufacture the light-armoured military vehicles, also known as LAV3s, capable of being mounted with powerful guns. So far, Saudi Arabia has not indicated that it will scrap the major arms deal. Since the deal was approved, Saudi Arabia has ramped up its aggressive action against Iranian-allied rebels in Yemen. The death toll among civilians has been estimated at 10,000, according to the United Nations. Millions more have been displaced or starved by widespread famine. The majority of those civilian deaths – an estimated two-thirds – have been directly linked to Saudi-led coalition airstrikes, according to the United Nations High Commissioner for Human Rights. To help with the ongoing humanitarian crisis in Yemen, Canada has supplied $65 million in assistance since March 2017. By comparison, that’s less than 1/100th of the $14.8-billion arms deal. Trudeau’s decision to greenlight the divisive deal in April 2016, just five months after becoming prime minister, was highly controversial. Critics accused the Liberals of helping arm a country considered one of the world’s worst human rights offenders. 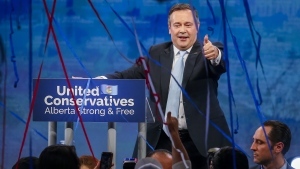 Others suggested that, by abandoning the deal, Canada would make an enemy out of a wealthy trade partner. At the time, former Foreign Affairs Minister Stephane Dion said the Liberals couldn’t kill an agreement that had already been struck by the previous government. Canada’s trade relationship with Saudi Arabia runs deep. In 2017, the kingdom accounted for 48 per cent of Canada’s military goods and technology exports, outside the U.S. The next closest trade partner was the United Kingdom, at just over 8 per cent.